Need some great ideas to help you find new customers and turn them into repeat customers? Try the 5 minute a day Restaurant Marketing MBA. Every day we will email you a tip, trick, strategy, tactic that works to help you find more customers and turn them into repeat customers. Restaurant Email Marketing – getting great subject lines, content and offers. Building a Restaurant Marketing database – how to get to your first 10,000 email address. Making the most out of Google Adwords for your Restaurant. Restaurant SEO – Search Engine Optimisation for your Restaurant Website. Restaurant Marketing Analytics – what are the important numbers to look at. Automated marketing campaigns – building a process to get more customers that works 24 hours a day. Restaurant Website Design – tips and trips to increase traffic to your website and more importantly more customers. Facebook campaigns that work for Restaurants. Getting your marketing right gives you an unfair advantage against your competitors. Sign up today for the 5 minute a day Restaurant Marketing MBA and start to build your unfair advantage. 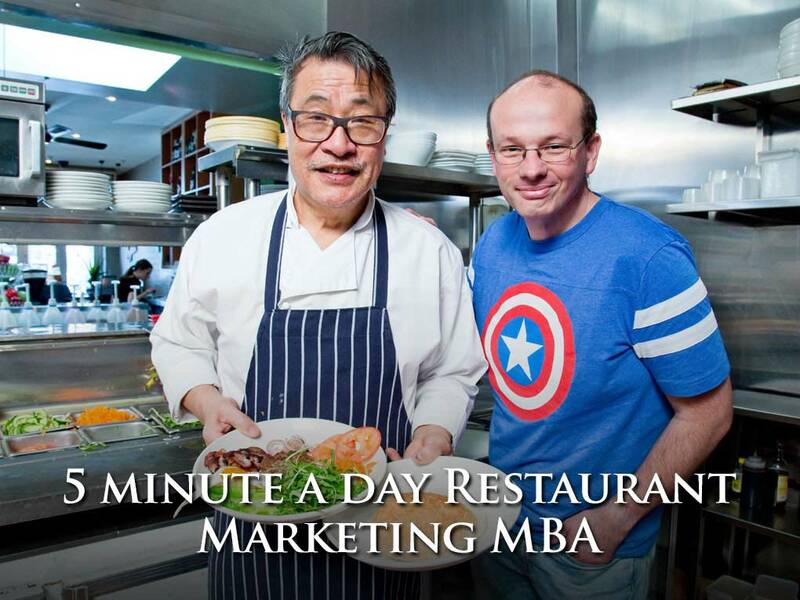 Sign up today for the 5 minute a day restaurant marketing MBA and receive great ideas on finding more customers and turning them into repeat customers.